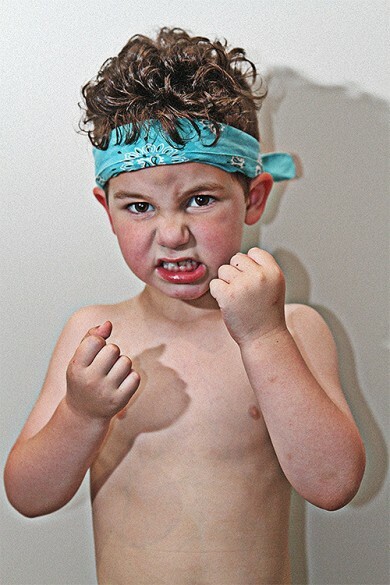 Home Parenting MMA Classes for Young Children? My middle son, Henrik, has somehow developed a knack for, well, full contact fighting. I mean, it’s uncanny how, with ZERO training, he can pretty much take anyone to the ground with ease. He also appears to take punches and elbows to the face with, well, indifference. It’s crazy. I mean, you should see what his knees look like!? I know all little kids have banged up knees but, for real, this kid’s shins look like he’s just come home from some sort of archaic barbed wire factory’s quality control department. Sure, he still requests the token band-aid on a near daily basis but it’s clear that what most kids would consider a mortal injury are simply signs of toughness for him. Makes me wonder if, perhaps, we should encourage these talents (within reason) that he apparently has a natural instinct for at just four years of age. Don’t get me wrong, I don’t want cauliflower ears in his future and I’d be horrified to ever learn that he’s a bully to anyone but his older brother. In fact, I’m kind of turned off by UFC and MMA events. I mean, I’ll watch them when they’re on free television every three months, you know, if there’s nothing else on. And we never watch boxing or, ugh, professional wrestling either. I can honestly say that we’ve never inundated him or imprinted that kind of “culture” on him. Sure, the first rule of fight club is that not to talk about fight club but, for real, no one in this family is in a fight club.